After all, the “list” is fifty percent of the catering success formula. If I were to email you an Excel spreadsheet with the names of all the people in your market who order in catering, the hard part of catering sales would be done. Even if you weren't great at finding and nurturing catering leads, you would be pretty close to seeing new catering orders flood your business with this list. Are You Targeting Catering Leads with the Highest Potential? In college, I worked for Don Pelts, the owner/founder of Corky’s BBQ in Memphis. Don was a one-in-a-million guy. Many were fooled by his disheveled look and goofy demeanor, but he was far smarter than anyone could have imagined. Don was the first person to teach me about mailing list selection. He would rent a list of all businesses in the Memphis market with fifteen or more employees and mail them a catering flyer four times a year. The mailing piece was sent to the person in charge of the company (president or general manager) or to the “Catering Decision Maker”. At the time, this strategy served him well. There wasn’t a lot of catering competition. Even though the company president may never receive the piece, there was still a chance someone would intercept the piece and forward it to the right person. When left with no other weapon, a shotgun will do just fine. As I’ve learned and tested marketing strategies over the years, I have discovered a sniper’s rifle works much better to get a new catering client. As opposed to advising my clients to rent a list of all businesses within ten miles of their restaurant with twenty or more employees, I now start with a much richer lead source. Back in 1997, I was speaking about how to profile a list. There was a crude tool that allowed you to analyze your corporate client list by SIC code (business category), number of employees, number of years in business, etc. Combine that with analyzing the types of events we catered, and we were able to create come good catering lists and identify some very profitable catering niches. 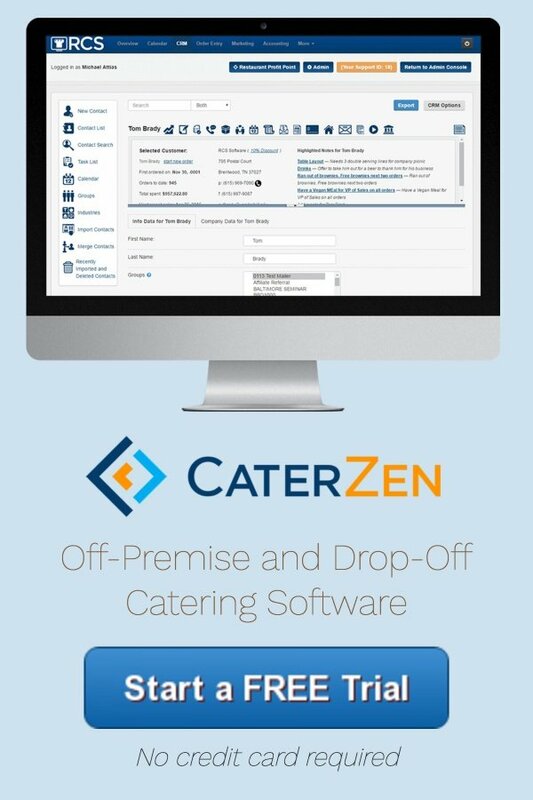 Catering Software That Can Do The Work For You! Today, catering software and analytics have joined to make list selection a marriage made in heaven. 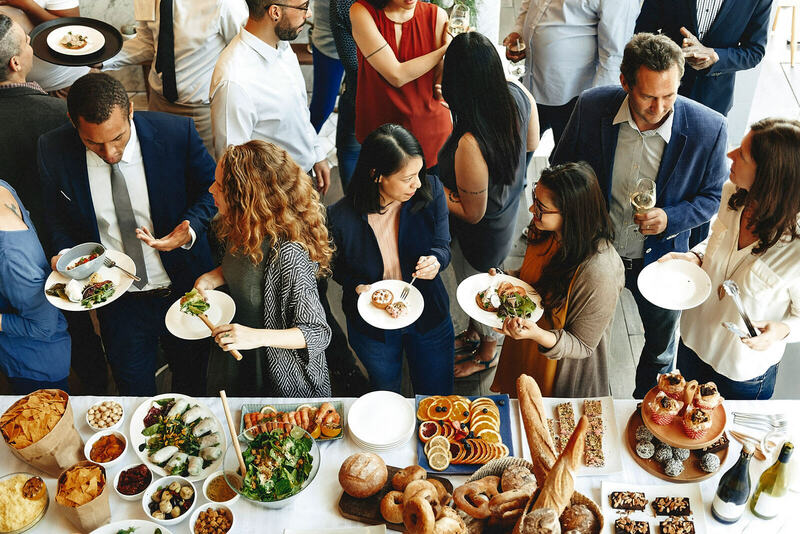 About a year ago, I started working with a longtime friend and direct marketing genius named John Dodd to create a mailing list algorithm to identify corporations more likely to order catering than the average business. John’s company employs a sophisticated piece of analytical software run by a PhD statistician on their staff. We paid John’s company to create a proprietary algorithm for CaterZen. We sent John a database with 14,856 unique corporations across America who order catering. With his software and statistician, they were able to analyze many different variables about these companies and assign a weighted formula to create our algorithm. They can then use our algorithm to identify corporations across America more likely to order catering than the average company. Using our proprietary algorithm to target the top 5% of businesses who match our formula will uncover corporations 9.77 times more likely to order catering than the average company. Now why is this important? Your time and resources are finite. You're better off targeting a thousand companies predisposed to ordering catering, rather than focusing on the entire universe of five thousand businesses in your market. This allows you to employ multiple marketing touches to get a new catering client. After all, a buyer is a buyer, so don’t give up prematurely. Though we can provide you a mailing list of companies predisposed to ordering catering, the names of the catering decision makers are not available. Our list can get you halfway there. Then it’s up to you or someone who works for you to call each company to identify the catering decision maker and ascertain whether they are qualified. 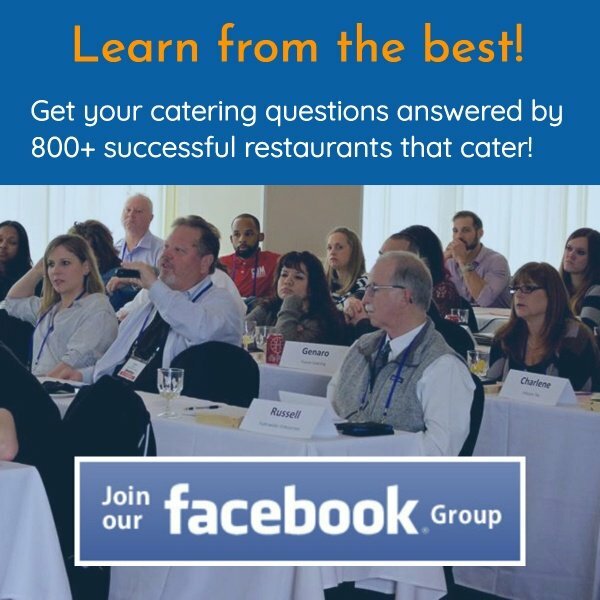 Once you identify all of your qualified catering decision makers, you’re ready to start marketing to them. Need help with finding and qualifying catering clients? We provide the list, AND the script and coaching to CaterZen members! Take a free trial today. Yesterday during a consult, a prospective client asked me if every business you called would give out qualifying information. As in marketing, you are playing the odds and looking for overall return. No list is perfect. Companies close, change addresses and go bankrupt. Some gatekeepers are friendlier than others. What I can assure you is that you must use a system like this, otherwise you are reliant on serendipity to grow your catering sales. Find your list of qualified catering prospects and work them diligently. Unless you are offensive or provide terrible food and service, you will get more than your fair share of the catering pie. Why? Because most of your competitors are sitting around waiting for the Powerball Lottery gods to smile down on them. And that leads to a deskful of losing lottery tickets. What's your experience with catering lists? Let us know below!